My book: My first YA novel, MAUD, about the teen years of L.M. Montgomery, author of Anne of Green Gables, will be published through Penguin Teen, imprint of Penguin Random House of Canada on April 25, 2017. You can preorder MAUD through amazon.ca and amazon.com, or add it to your “Want to Read List” on Goodreads. My philosophy: Passionate about literacy, following one’s passions, and discussing the creative process with authors, artists and creators, as well as diving into my own. Sometimes Merlin helps. The bio: MELANIE J. FISHBANE holds an M.F.A. in Writing for Children and Young Adults from the Vermont College of Fine Arts and an M.A. in History from Concordia University. With over seventeen years’ experience in children’s publishing, she lectures internationally on children’s literature and L.M. Montgomery, who she has been obsessed with since she first read Anne of Green Gables in Grade Six. A freelance writer and social media consultant, Melanie teaches English at Humber College. Melanie also loves writing essays and her first one, “My Pen Shall Heal, Not Hurt”: Writing as Therapy in L.M. Montgomery’s Rilla of Ingleside and The Blythes Are Quoted,” is included in L.M. Montgomery’s Rainbow Valleys: The Ontario Years 1911-1942. 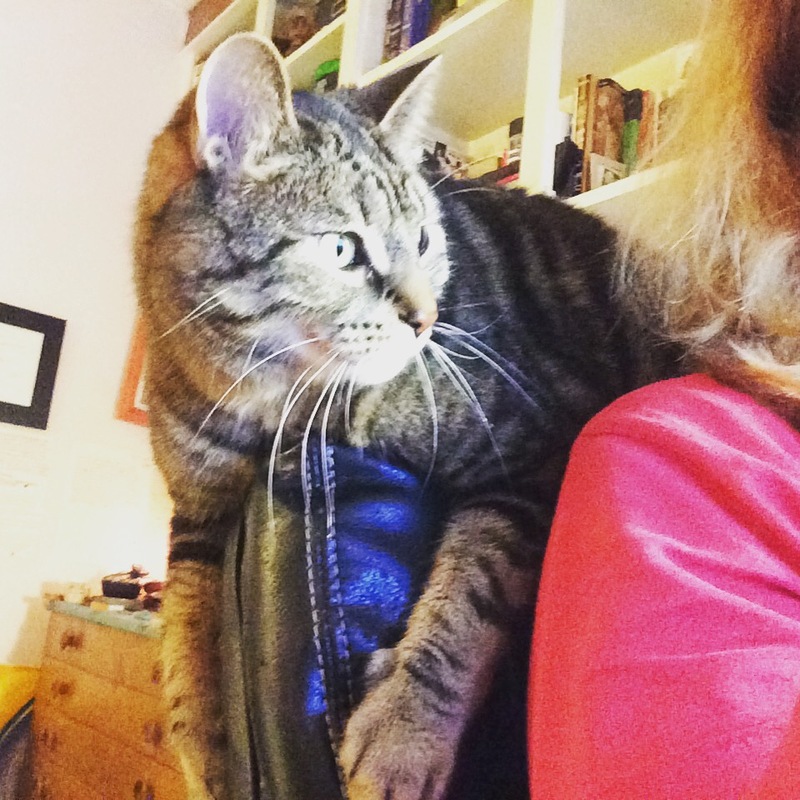 Melanie lives in Toronto with her partner and their very entertaining cat, Merlin. MAUD is her first novel. You can follow Melanie on Twitter @MelanieFishbane and like her on Facebook. First thing you should probably know about me is that I’m pretty much a teenager in the body of an adult. Sure, I “adult” and do adult things like pay rent, make sure that my cat, Merlin, eats, and vote (which is the best), but much of what I write, read and even watch is from the point of view of a teen. I think it is because that is when I discovered a lot of things for the first time, fell in love, considered big ideas, and made decisions about the person I wished to be. I played accordion because we couldn’t afford a piano (which is what I wanted to really play). At eleven I got my dream and dropped the accordion for the piano. My apologies to accordions and accordion players everywhere as I didn’t understand the punk, folk fusion that could emerge from such an instrument. I was also obsessed with Little House on the Prairie (TV show and books), Judy Blume, listened to The Police and Pat Benatar (I had a really cool babysitter), and enjoyed getting my Barbie dolls into all sorts of drama. You’ll note from the topics discussed on this blog, somethings haven’t changed. 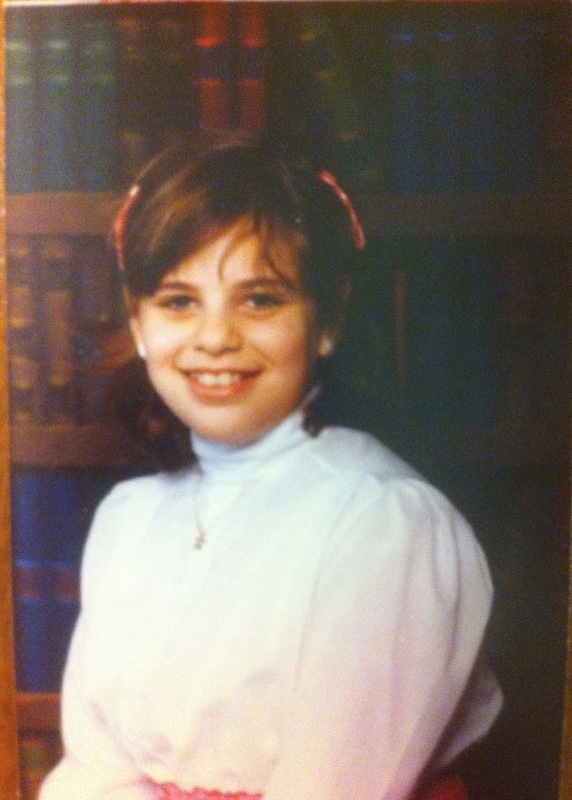 At twelve I had made the decision to be a teacher, because many of the women I knew (including my mom) was one. So I babysat, worked at after school kids’ programs and day camps. This is a long lost picture of me from one of the summers I worked on the Music and Drama staff. It is also one of the few photos you will ever find of me actually wearing a baseball hat–or any hat for that matter. I’ve slowly learned to embrace hat wear, like a good beret or outlandish sunhat. Things I was obsessed with during this period included, but were not limited to, the life and work of L.M. Montgomery, women’s history – Canadian and Medieval history, The Mists of Avalon, women’s spirituality, Canadian writers like Jane Urquhart, Margaret Atwood and Leonard Cohen, learning French, the life and work of Laura Ingalls Wilder, women’s music, and all things theatrical and broadway related. 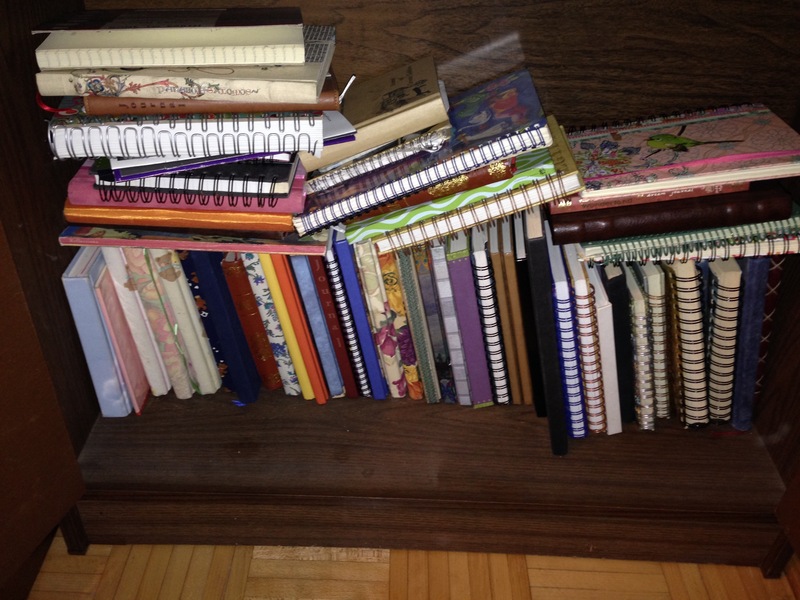 All retold in the never-to-be-published journals tha t I’ve kept since I was fourteen. The rest is adult stuff: university, more university, some school, some more university. I lived in Montreal. I love learning and school so much, it is probably also why I write teen books, because then I can write about being in school. I wrote all of the time, working mostly on essay writing and some very bad poetry, a few short stories, and other things which has since been burned away. This is me working on M.A. #1 in history at my grandfather’s place in Florida. My parents thought I needed a rest. Clearly, I had other thoughts (I was on deadline after all!) and brought a borrowed laptop, my notes, and books with me. Still, I didn’t think that I could ever be the kind of writer I admired, that there were better storytellers (like my brother) out there. I still think this, but I’ve learned to (sometimes) silence that “Negative Mely” and tell her to go take a really long swim in a lake and leave me be, please. Other adult things that were super fun and where I learned a lot: I worked in publishing for over seventeen years, read all of the best kids and teen books, got to sit on a number of book juries, meet writers from all over the world, and blog about them. Obsessions during this period included: spirituality and religion, alternative healing therapies, women’s health, Gilmore Girls, Buffy, writing, music, the life and works of L.M. Montgomery and Laura Ingalls Wilder. Then, one day I saw this ad for the Banff Writing in Style program and all that was needed was 25 pages of writing. I had a lot of bad writing, but I had started on this project and decided to try. If I was going to take myself seriously as a writer, then I needed to risk. If I didn’t get in, then I knew. It was the first time I really showed any of my fiction to anyone. I got in and it changed everything. Then…more school…more adulting…this time, Vermont College of Fine Arts, Writing for Children and Young Adults. And then more of everything changed because I allowed more of the things that I had always been obsessed interested in to fuel my writing. I wrote about history, teen lit, Laura Ingalls Wilder and L.M. Montgomery. I learned that I would never be like my favourite writers because those were their stories. I had my own to tell. What’s more that my story was worthy of telling. I also learned how much I didn’t know about writing (and still don’t know) and that there will always be more opportunities to learn, which means more school. Yay for that! 1. I get to write stories. 2. My 12-year-old got her dream of teaching because now I teach English and writing to college students. in L.M. Montgomery’s Rilla of Ingleside and The Blythes Are Quoted,” is included in L.M. Montgomery’s Rainbow Valleys: The Ontario Years 1911-1942. 4. I also give lectures on children’s and young adult literature internationally. Here I am giving my grad lecture at VCFA. My favourite thing to talk about is the Perfect Man Archetype in Y.A. literature, L.M. Montgomery and Laura Ingalls Wilder. So that means I get to discuss my favourite literary boyfriends, Almanzo Wilder and Gilbert Blythe ALL OF THE TIME! Swoon! But … this is just the beginning of what is to come. On this blog I discuss the stories not finished and books that have yet to find a home. How I get distracted, emotional and overachievy. I talk about these things with other creators who have much wisdom, and connect with other people’s passions. My dream is to be part of and encourage an international artistic community and perhaps you’ll find a big idea that will help you explore the person you are continuing to become.